Sundays is good days. I always feel a bit of melancholy, and it gives room for reflections. I also use the Sundays for improvement and develop my skills. 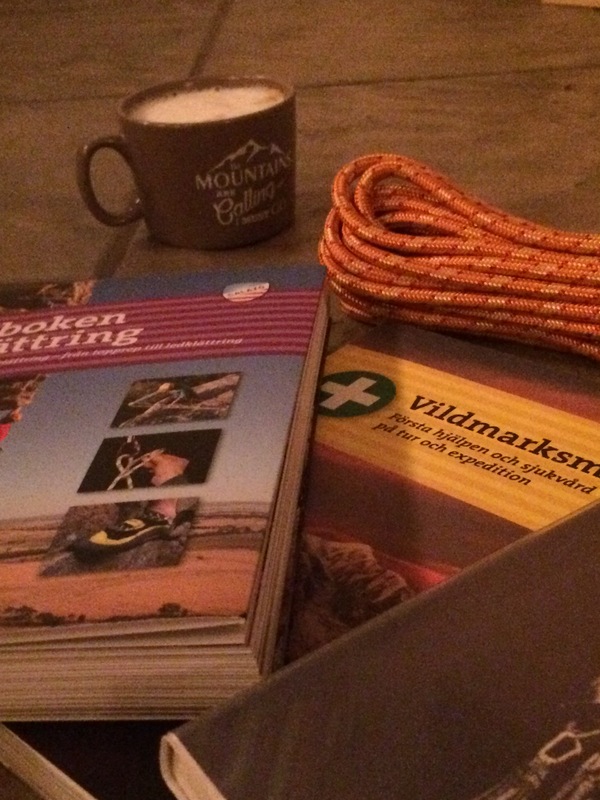 A nice cup of coffee and some good education it a nice way to spend the Sunday..
Today I’ve been training a lot as well. Started the day with one hour and fifteen minutes speed walking with the Husky. After that a real nasty Cross-fit workout with the police friend of mine. Then another speed walk with the husky. And ended up the workouts of the day with speed running 30 minutes with the husky. After all of this its time to read the books and make new prusics for the upcoming ice climbing season. Ice axes is basic for mountaineering. First of all there is two different classifications. B and T class. The letters stands for Base and Technical. The difference is that the B ones is lighter and cant be used for technical climbing. Those ones are perfect for normal mountaineering. The T ones is much stronger and can be used for belays. The ”walking” ice axes is normal 50-70cm long. The alpine ice axes is normally 50-60cm long. 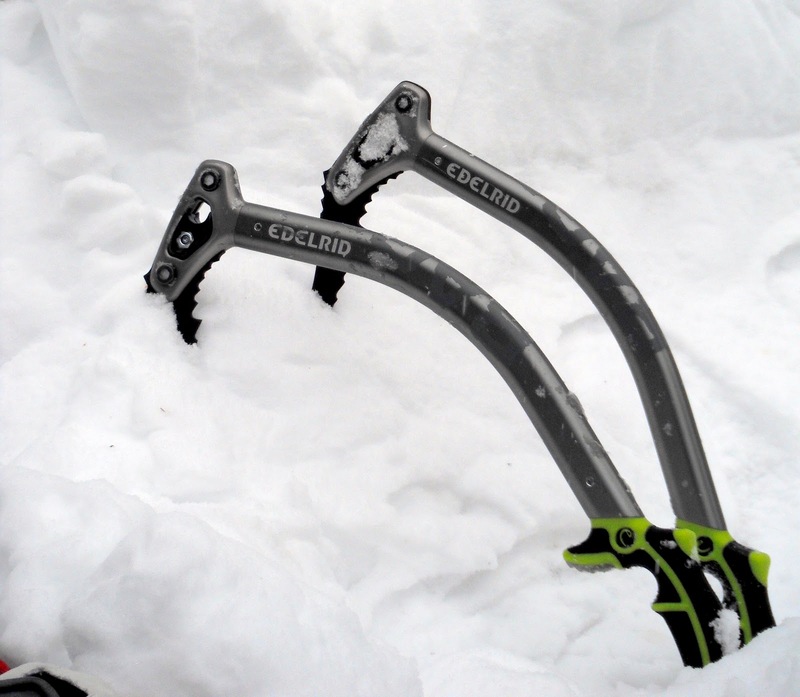 The technical ice axes are fully curved with steep pick angles. You use this ones I pairs, one with adze and one with hammer. Some of the ice axes is semi made for both ice climbing and alpine use. From my point of view, if you are going to ice climb buy a real technical from the beginning. otherwise you will be disappointed. There is a big difference between them. If you are going to ice climb, use good tools from the beginning.. 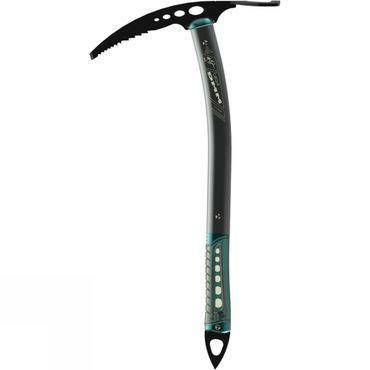 This one is a semi technical ice axe. It got some angle but not as much as the ones above..You can use it temporal for technical climbs, but not in the long turn. But is perfect for alpine use.. When it comes to gear, and that the winter season is knocking on the door. I have find a pair of interesting winter running shoes. 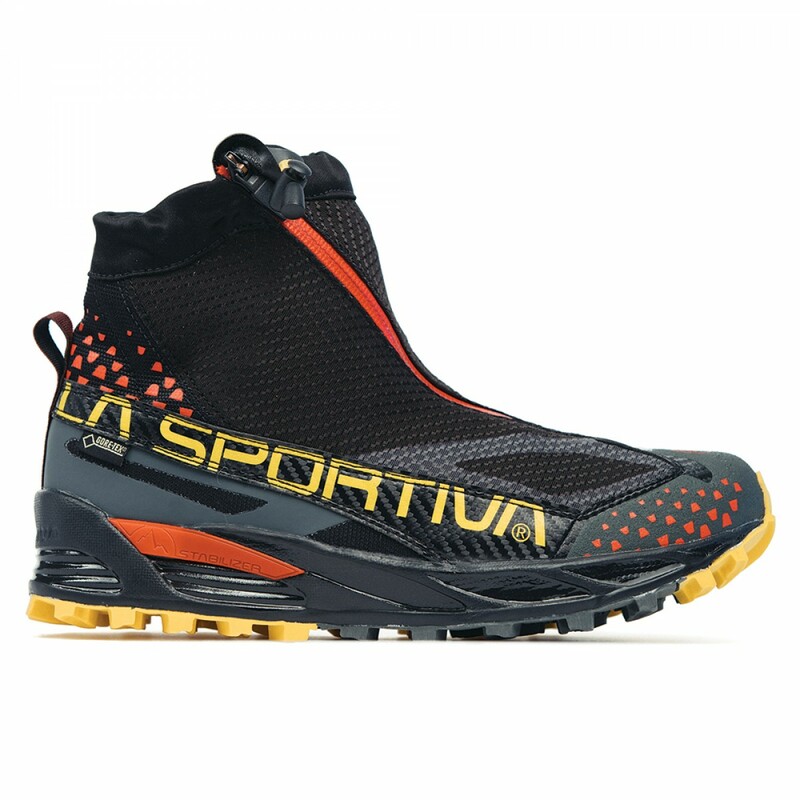 From the Italian producer La Sportiva. See ya soon, and then about first aid in the wilderness..
A pre-winter tour, and upcoming adventures..
Nine a clock we started. 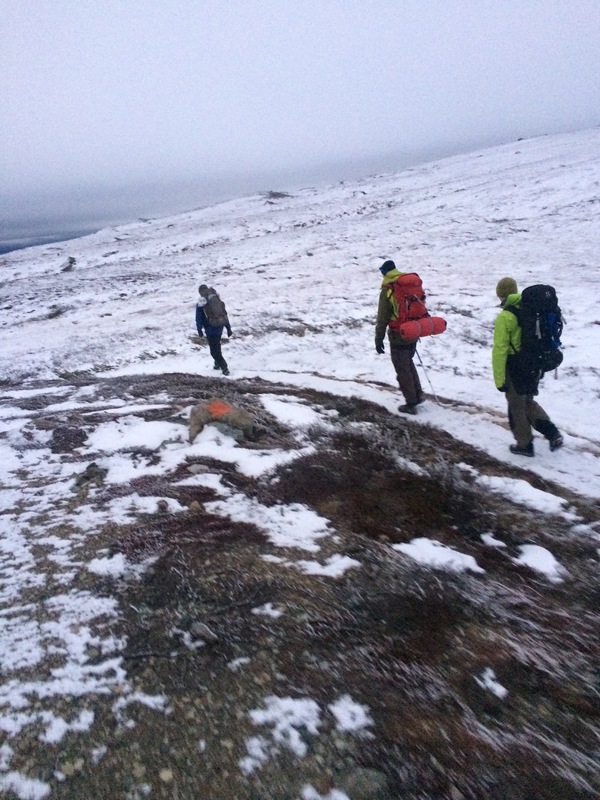 The backpack with firewood was on my back, and we started to follow the track upwards the Torkilstoten slope. The ground was shallow frozen, and here and there snow. We followed the trail up to Helags, and it was quite easy to see the summer trail. After three hours we reach the target of the day. Time for the Base-work and get everything prepared for the night. 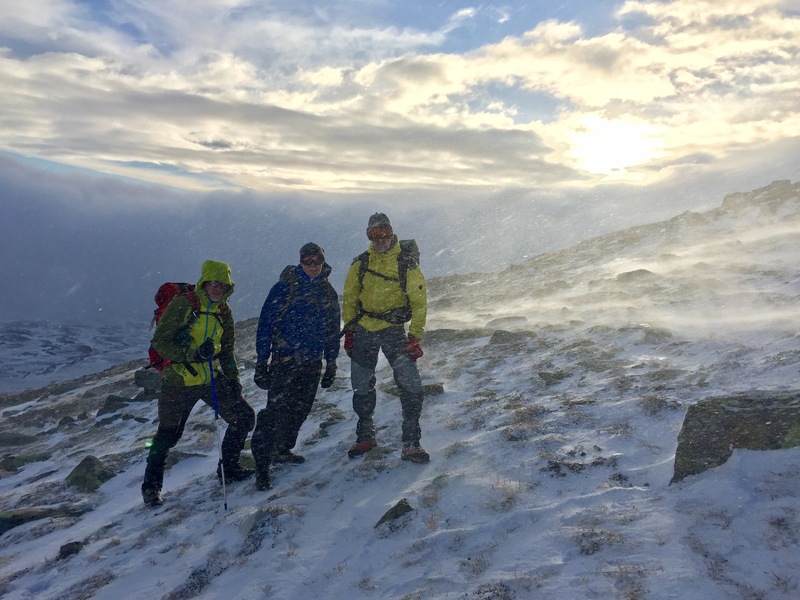 Saturday was meant for a summit attempt. So we started and heading up for the northern ridge. Some of the slopes was snowy, some icy and some was rocky. Sometimes the wind was real hard and at 1500m we decided to stop, got some coffee. After a short discussion we decided to descend. After a short repacking we continued on the trail to Sylarna. As usual Jamtland delivered a fabulous day..
A hard choice, going to the summit of Helags or go to Sylarna..
And then it was time to go back home.. The trail back to the civilisation.. 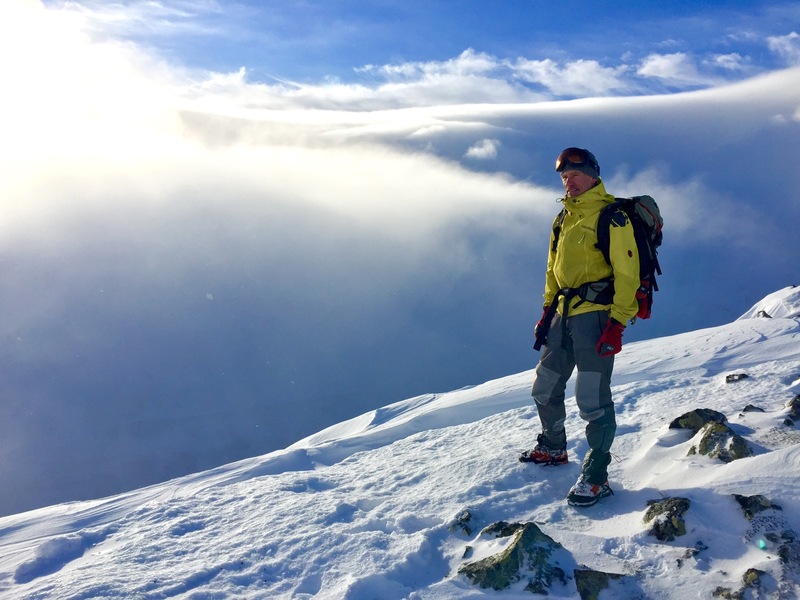 The snow and ice is on its way, and it is time for planning the upcoming adventures. There will be a couple of Ice climbing tours I hope.. So Alvdalen/Trangslet and Rjukan in Norway will be the target. And some skiing it will be of course. The planning is on. A tour to Iran and summiting the Mt Damavand is also a target for 2018.. When it is cold, some hot music will thaw us up..
See ya soon. On Thursday a new blog will be done.. Mid October, and we mowing towards coldness and frost. The days getting shorter for everyday, just to remind us to take it slower and prepare for the winter. 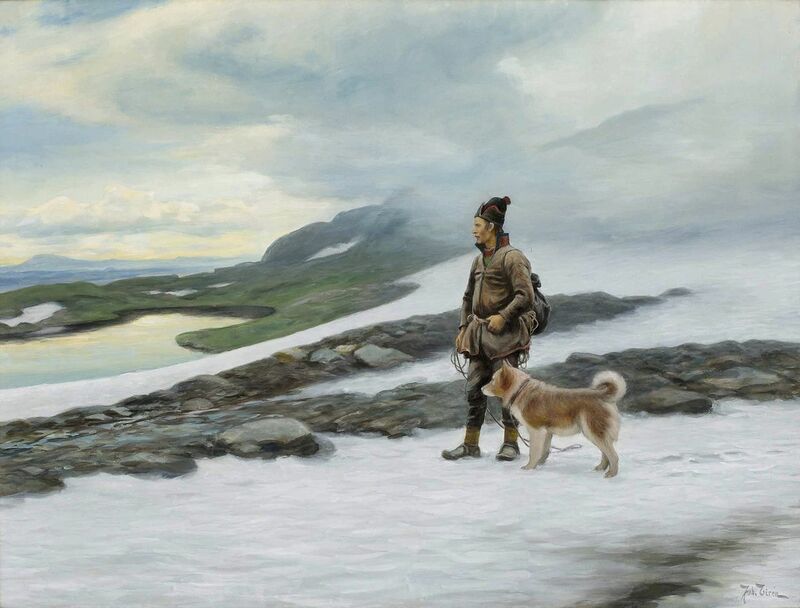 I am just in the middle of planning a upcoming tour towards the Helags mountains. 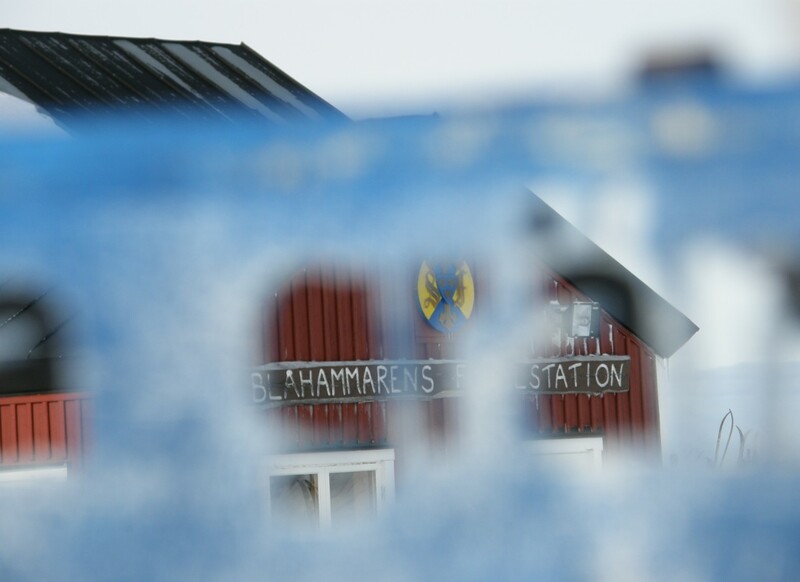 Helags, you can reach it from Ljundalen or from the Faltjagar cabin. In the last Blog you could read about losing focus, and lust. 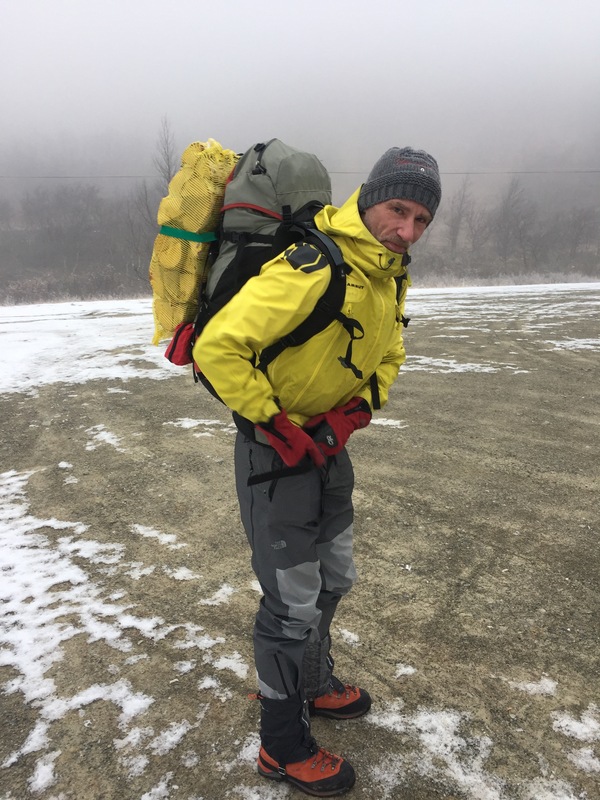 Here comes some help for you all to think a bit more positive..
Now I have tested Karpos Mountain pant and mountain jacket. 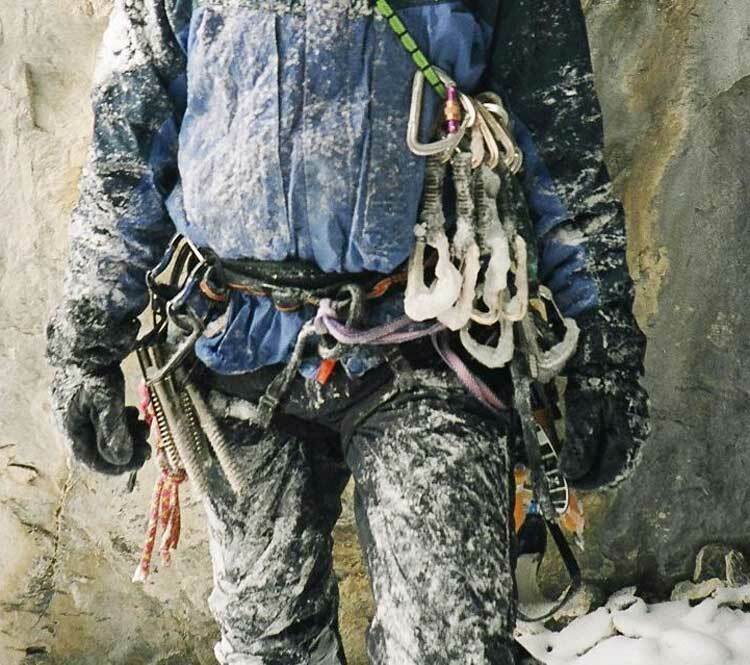 This is developed for high active mountain sports such as; Ice climbing, ski alpinism, mountaineering. 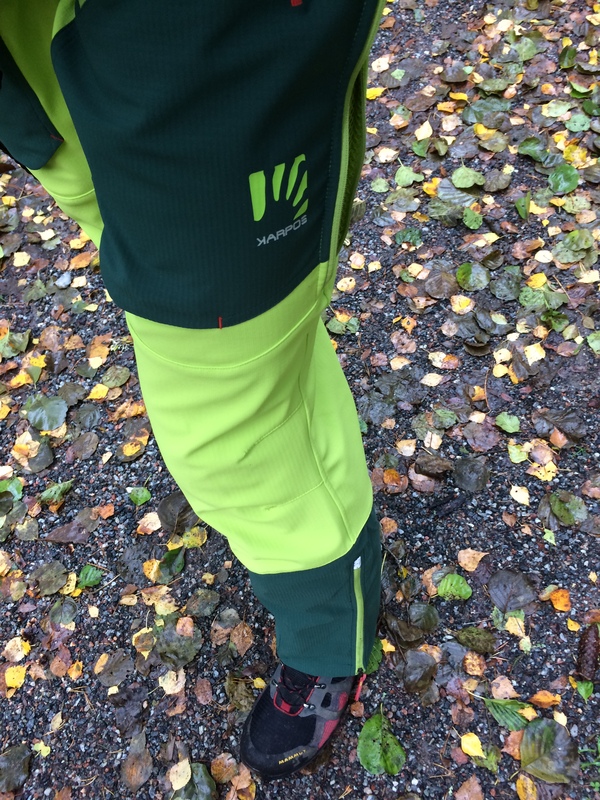 Karpos mountain pant, a real good trouser. A perfect friend at a cold dry windy mountain. The pant will get 5 NLA out of five. A real good trouser, with all good details such as snow lock and pockets under the line for the harness. 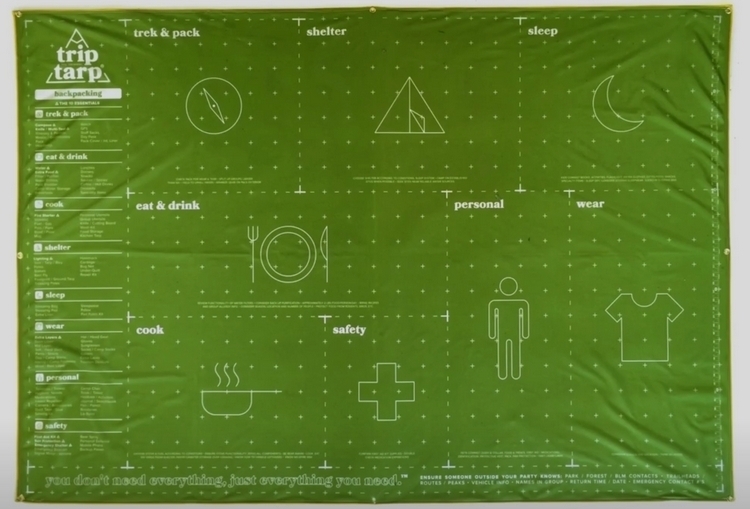 a real thinking trough product. The expectation of the jacket become of course high. But it was a bit of disappointment when testing it. 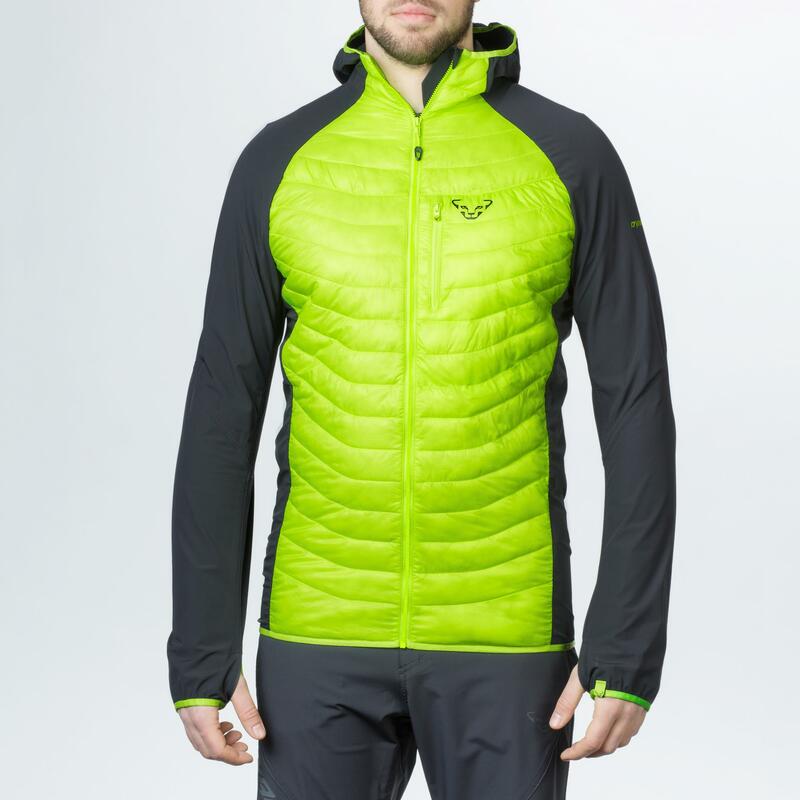 With a price level of 20 euro, and a jacket developed for ski alpinism and high intensity activities a good ventilation will be expected. But this one got nothing about it. It got good reflections but that is the only detail. It also got shallow pockets, feels a bit cheap…So three NLA:a out of 5. And when it comes to ski alpinism, here you got some inspiring movie. 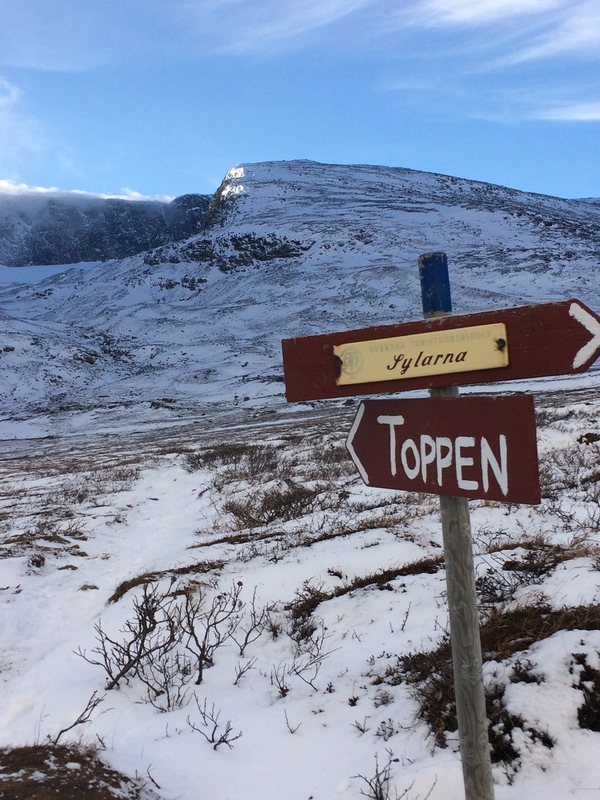 Sylarna one of the best places for adventuring in the Swedish mountains.. Early morning at 04.30. Fast up to the top of Schwartzhorn close to Cavalese in the Dolomites. The nature started to wake up during my ascending. I early got the feeling that this would be a fine day. I followed a slope, the sun was shadowed by the mountain. At the top I was all alone, except for the Madonna at the picture… We was looking out together in calmness, just enjoying the sun set over the alps. What a moment, I will carry it in my mind forever..
Back on track, after some confusion.. This week I got tired. Tired of workout, tired of reading and tired of outdoor stuff. I think it related to that the summer has past, and the feeling is telling me that I haven’t done all I expected to do. Over to some new stuff..
Tarp is not my favourite equipment, but I know many prefer it. 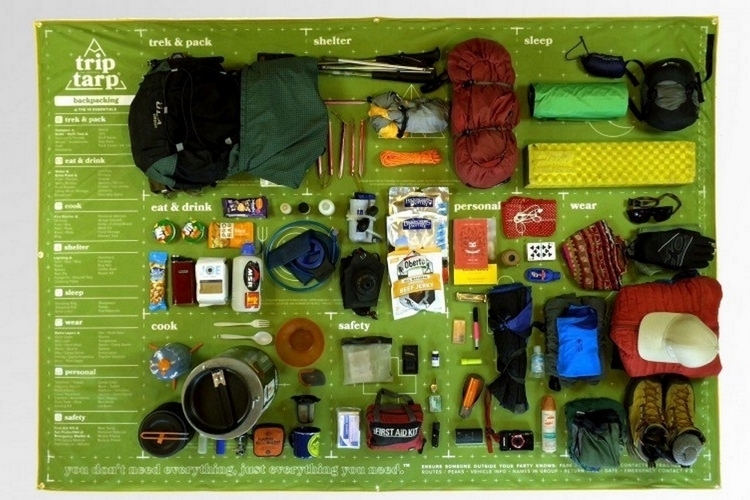 It is easy and fast as a shelter when you are lonely on a hike for example. Here comes one with a double function. You can use as a pack list as well. Just apply your equipment on it and you got control over your equipment. Another thing is all places that needs to be discovered. 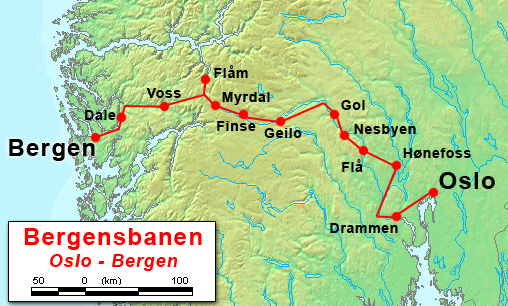 In Norway they got the Bergenbane. A interesting way for new discoveries is to use the train. 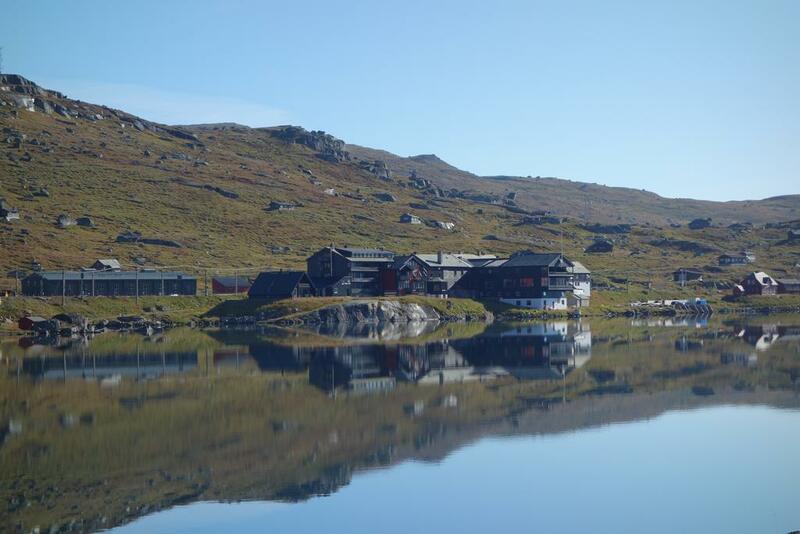 The highest place on the track is Fïnse, a fantastic place..
Finse a fantastic place in Norway..
And here you got a good inspiration for workout during this period between summer and winter..
And a picture to dream out from.. 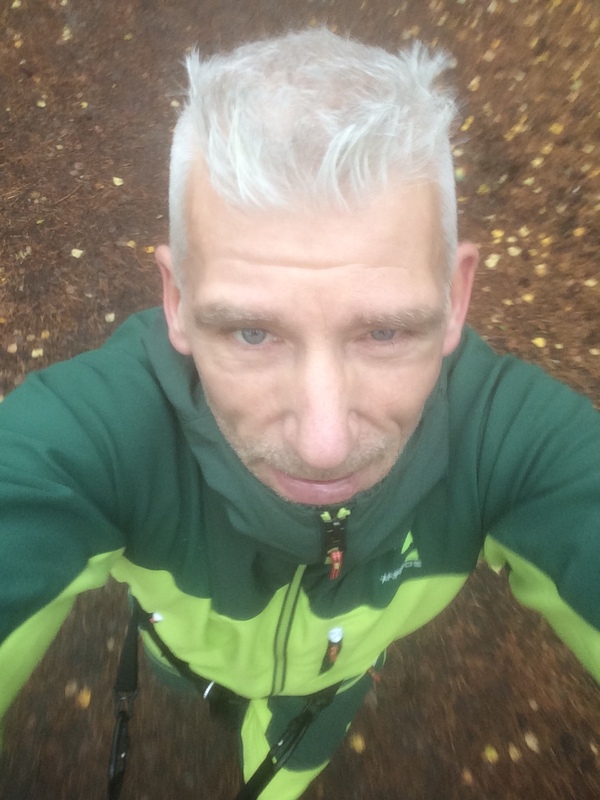 Autumn time, weather skills and a good workout.. The mountain station and mountain cottage are closing. The mountain will be lying by it selves. The weather can be either kind or really hard. The temperature started to become cold. You have to start early in the morning, because the sun will not be up for so much many hours. During this season you will be alone; this meaning it will be calm. But on the other hand you have to be prepared. Every fail will result in consequences. You have to trust on your own skills, and your own self-confidence. The summer trails can be hard to find, due to they are covered by snow. The winter trail will not work due to that the moors and tars are not frozen. The air is crisp and it is often easy to be properly dressed. Due to that it can be long evenings in the tent or wind shelter, it is good to have a god stories in readiness.. 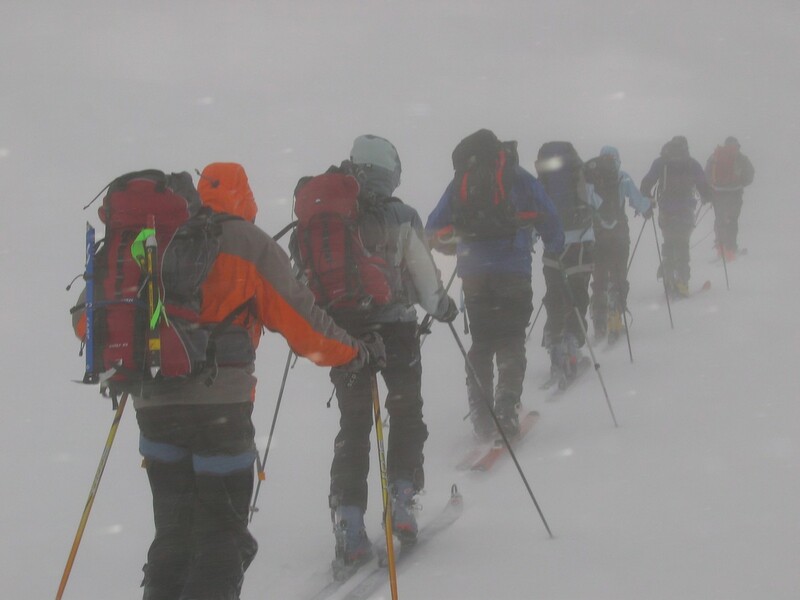 When it comes to this period in the Swedish mountains you better respect the weather. It is important to know how the wind will effect you. The blue line will means big risk for cold injuries. But also the wind will take the heat from your body so you have to isolate for that fact. Build up with three layer, and if it is windy is good to have a prima loft or a down sweater to protect you from the wind chill. A classic prima loft jacket is useful to protect your body and to get a distance from the wind and body..
And when it comes to weather listen to the local stations on the radio and television, and talk with the locals. They often can see and know the sign for a incoming storm etc. Respect the weather forecast and take wise decision..
Have a good control of the weather of the area for a couple of month, then you get a know how about of it works..and you will be prepared. 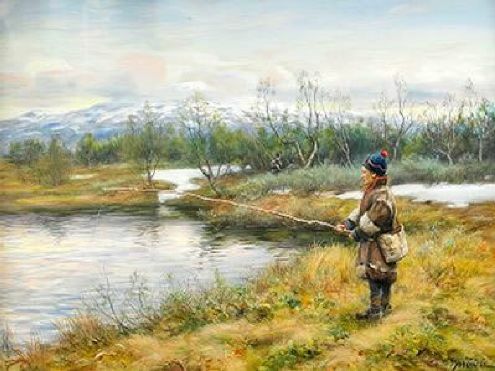 And at the and another painting from Johan Tirén, ”fishing close to Snasahogarna” This is one of the most beautiful, and forgotten places in Jamtland. And don’t forget to write good things in your book of life..
A bit boring to listen to, but look and listen. Easy to become a better mountaineerer..